Who sells the best refrigerators? Owning a home brings various responsibilities such as home upkeep, and at times, home upgrades. Of all the purchases that come with home ownership, buying new appliances is one of the biggest. When you find yourself in need of a new refrigerator, you'll need to shop around to find the best fit for your home and budget. Shopping online is an excellent way to find the best pricing for your next appliance purchase while saving you both time and money in the process. 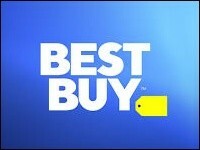 Best Buy is known for their vast inventory of electronics. But they've also been selling a wide selection of appliances for many years. You may be surprised with their wide list of refrigerators and other appliances. We were impressed with their fast delivery, warranty options, and amazing pricing. If you want a great deal and need a refrigerator in a hurry, Best Buy earns our top rating as the best refrigerator store. With exceptional service, Lowe's offers all you could want for your appliance needs. If searching for a new refrigerator, you can trust this accredited company to help you find the best fit for your home. The company has an extensive appliance inventory, with many payment options available. Like other big-name department stores, JC Penney showcases its years of retail experience by offering an easy online shopping experience. We were very impressed with how informative the site is. They have a relatively good selection of refrigerators, and customers will have no problem finding answers to their questions. ABT has been in business since 1936. The company prides itself on selling great products with exceptional service. They are an award-winning company with an extensive inventory of refrigerators. We were less excited about their pricing and lack of assistance. Sears offers a respectable inventory of refrigerators. New customers will appreciate the many different finance options available. This company has one of the most organized websites to shop, especially for appliances. But, this may not be the best place for those that are looking for competitive pricing. Cost. Are there discounts or special offers, purchasing options, or packages available? Speed. If your refrigerator has quit working who can get you a new one the fastest? Selection. What does the store have that's ready for delivery? Customer Service. Are there delivery fees? What is the return policy? Delivery and Installation. Will you be left to move and connect your new refrigerator or does the company do it for you? TopConsumerReviews.com has reviewed and ranked the best refrigerator stores available today. We hope this information helps you find the best refrigerator to meet your needs!